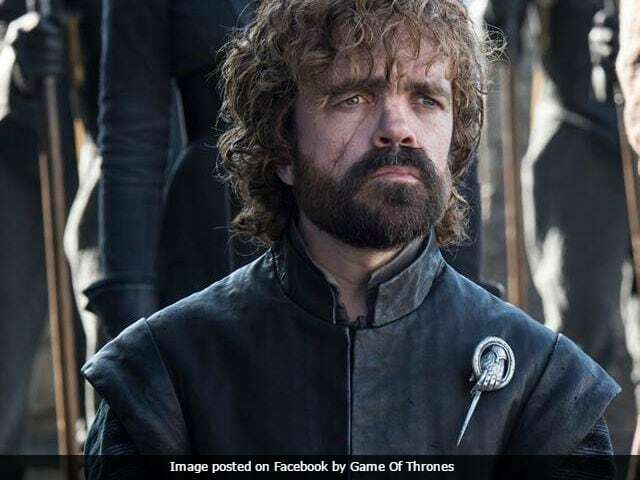 Washington: Past seasons of Game of Thrones have been rife with great dialogue from quick-witted characters, but this season has been different. With all the action accelerated now that Daenerys has made it to Westeros, there hasn't been time for talking, especially not the ornamental sparring that delivers such reliable entertainment. Sunday night's episode had some good news and some bad new for fans of verbal brawling. On the plus side, the silver-tongued Tyrion is back. Unfortunately, Lady Olenna, the clever Queen of Thorns, is gone for good. Maybe it was inevitable that we'd get a taste of the old Tyrion. Emmy and Golden Globe winner Peter Dinklage hadn't yet had his Big Awards Moment, so it had to happen eventually. Whatever the reason, it was a welcome return for a talented actor who hasn't gotten the chance to do much in recent episodes, except stand around and spout off his thoughts on military strategy with Dany and her allies. On Sunday, he got to show off his wise, scheming side when he talked about how the Unsullied would seize his homeland, Casterly Rock. As it turns out, his father Tywin put Tyrion in charge of a lowly job - building the city's sewer system - and while he was at it, he built a secret passageway to smuggle in prostitutes. Meanwhile, he brokered a deal between Jon Snow and Dany when hopes of an alliance were all but dashed. Best of all, he got to deliver a few solid one-liners. When he went outside to do some thinking, he ran into Jon, who was doing the same, which was a bummer on multiple levels. "You look a lot better brooding than I do," he complained to Jon Snow, who, naturally, didn't so much as crack a smile. But just as Game of Thrones giveth, it also taketh away - per usual. Sunday was the last we'll see of Olenna Tyrell, whose home, Highgarden, was overtaken by Lannister forces, led by Jaime. Cersei's better half went to visit the Queen of Thorns, and the old lady knew what that meant: Her time on this earth was almost over. Still, she took full advantage of her final minutes. She badgered and belittled Jaime, told him his twin/lover is a monster and, upon hearing that Jaime has learned from his failures, responded, "You must be very wise by now." Jaime signaled that it was all over by pouring poison in her goblet of wine and promising that it wouldn't hurt. She was relieved in her own way, delivering one final blow in the few breaths she had left. She was sorry Joffrey died in such a grotesque way, she faux-lamented. She didn't realize her poison would turn the former king's death into such an eyesore. "Tell Cersei I want her to know it was me," Olenna said with her usual haughty smirk. Jaime turned away before the queen's actual demise, and so did the cameras. It was one final reminder that she was above everything. Even death.